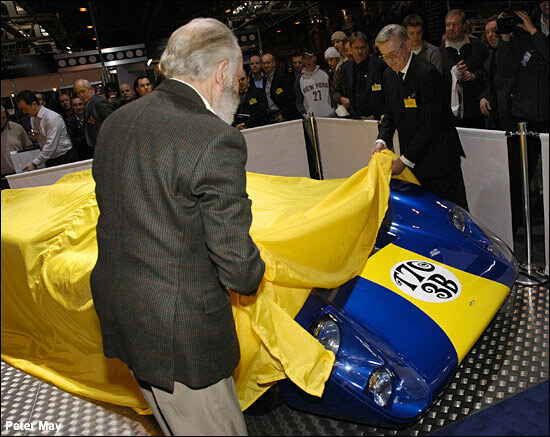 It was down to Lola to unveil a ‘new’ GT car at the NEC yesterday (January 12) – as Executive Chairman Martin Birrane and Lola founder Eric Broadley took the cover off the company’s T70 Mk.3B continuation model, on the Motor Industry Association stand. Ironically, Martin Birrane could have been a Lola customer for an original T70, in the early seventies: “I wanted something fast and powerful, but no sooner had I ordered a T70 than the CSI cancelled the category for 25-off cars. 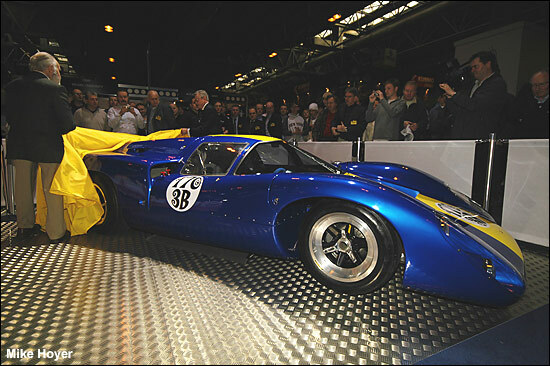 Lola will be building 20 of the T70 Mk.3B, the basic car (less engine) available for £150,000. 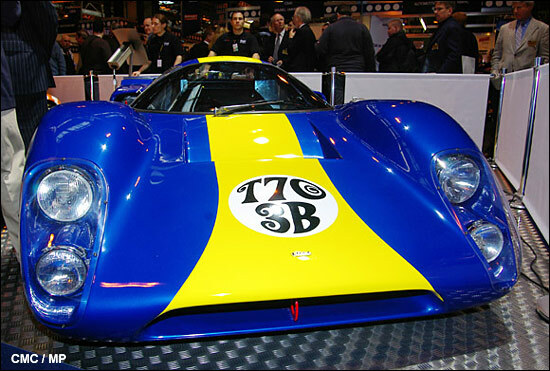 This is the T70 version that Lola founder Eric Broadley suggested was “the ultimate T70”. 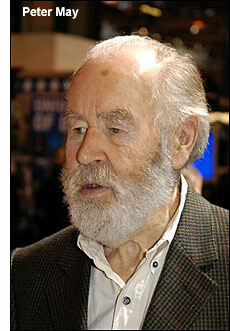 Broadley was credited, by Martin Birrane, with designing “the most beautiful sportscar ever”. Is it, Eric, is it the most beautiful sportscar ever? The T70 only has one major international race win to its credit – the 1969 Daytona 24 Hours. So why wasn’t it more successful, Eric? “There were two problems. The engines didn’t compare with those of the Ferraris and Porsches. You either had to de-tune them so they weren’t powerful enough, or run them at full power and blow them up. It’s a beautiful car, isn’t it? – just as it was in the late 1960s.